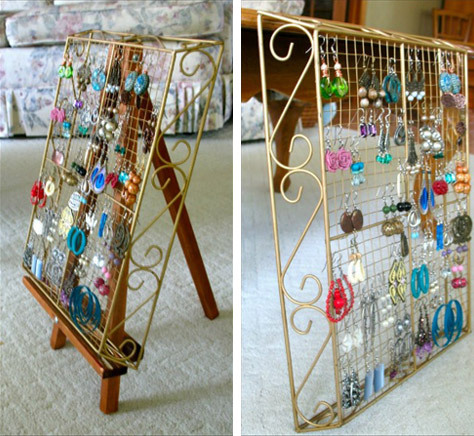 I have been trying to find a better solution for my hanging earrings and I just LOVE this idea from one of my readers, can’t wait to create one for myself I think it’s the perfect solution. Thank you Courtney for allowing me to share this. Courtney used a frame and removed everything from behind. She used some plastic embroidery mesh from spotlight, trimmed the edges and used a hot glue gun to stick it into the frame. 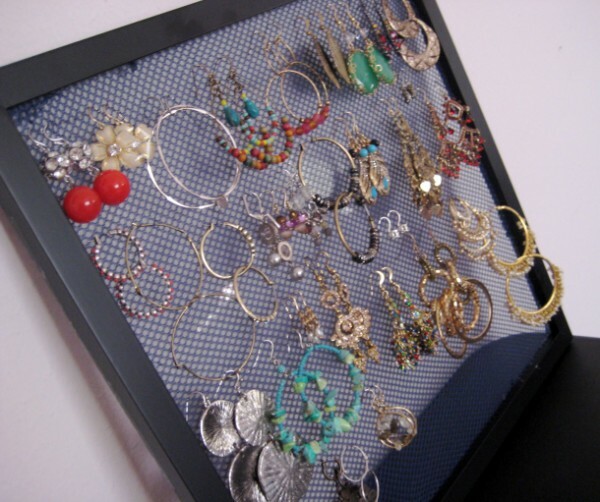 The only problem now would be you can’t stand the frame up, you could hot glue gun some pieces of dowel on each side of the back of the frame to hold it upright. 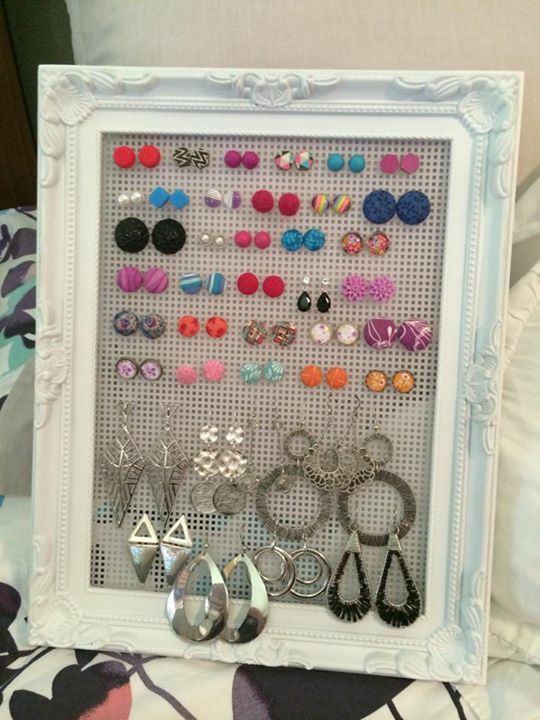 I’m going to put mine on the wall in my wardrobe, so I’ll use some removable tape strips on the edges of the frame. 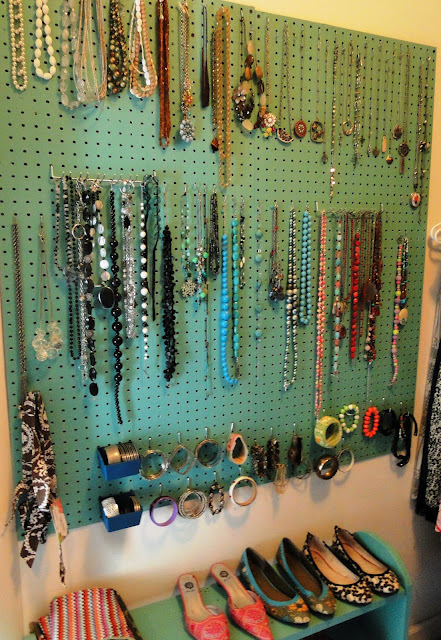 Loving this idea – great to have jewellery to hand so you can grab the right piece when you want it. 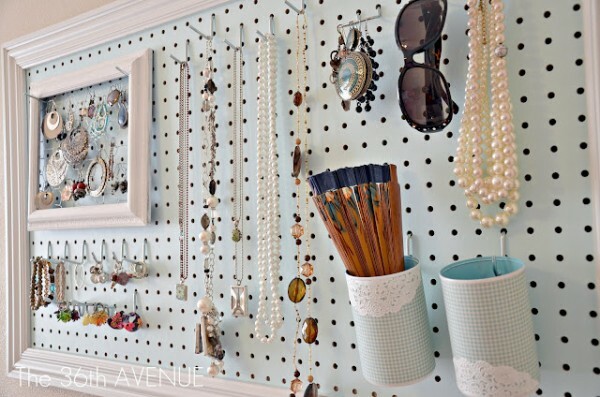 I may well try this in my ensuite on an unused wall! I do worry about dusting though…. I use a cork board in my walk in robe. It’s hung on the wall. 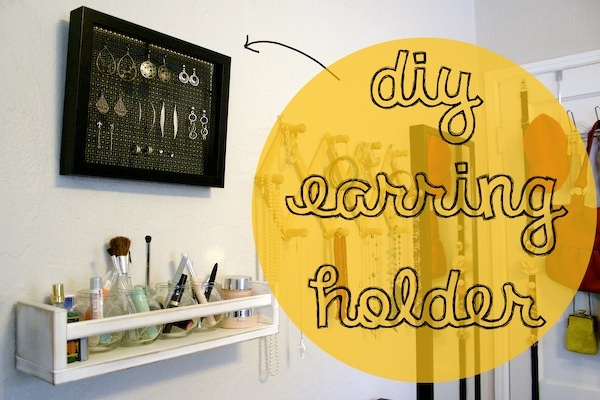 For hanging earrings I use plastic drawing pins from K Mart and hang them that way.